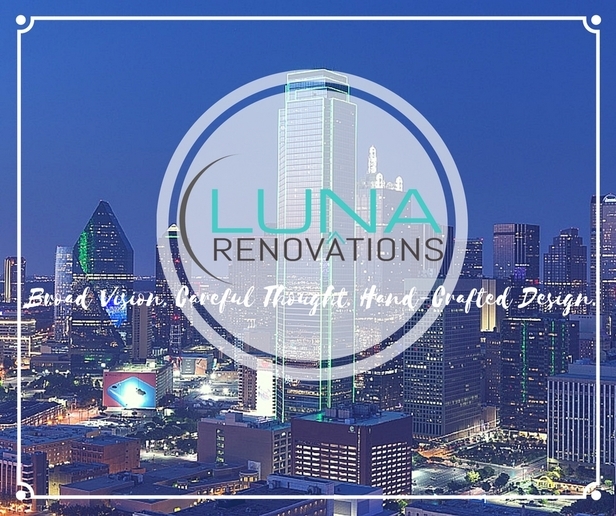 Luna Renovations LLC Dallas based residential remodeling company. una Renovations LLC is a company that is built on integrity, dedication and hard work. We strive to provide the best customer service and approach each project with broad vision, careful thought and hand-crafted design. We are a DFW based general contracting company specializing in residential remodeling and ornamental iron/welding services. Luna Renovations is the leading provider of quality wrought iron in the Dallas-Fort Worth area. Luna Renovations specializes in the designing, fabricating and installing of all of your ornamental/wrought iron needs. We create a variety of ornamental iron work to enhance the charm of your property. Luna Renovations custom designs combination of metal and wood fences along with our traditional privacy wooden fences. Our team consists of creative, honest and hard working individuals that have a passion for remodeling & design. Together we have over 20 years in the construction industry. We enjoy every aspect of doing a project from start to finish. Luna Renovations team is dedicated to providing the best customer experience and provide services at a fair and honest price. Feel free to contact us at ﻿(214) 884-8005 ﻿or complete our request form﻿﻿ and one of our team member will get in touch with you shortly.